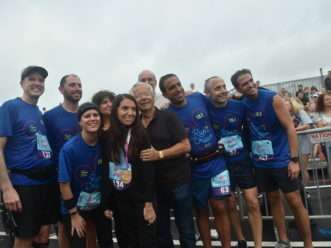 LAKE BUENA VISTA, Fla. (Jan. 9, 2011) — In perhaps the biggest upset in Walt Disney World Marathon history, Fredison Costa of Brazil upstaged fellow countryman Adriano Bastos to win the Disney Marathon on Sunday and abruptly end Bastos’ six-year dominance at Disney. 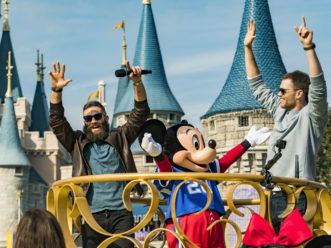 After finishing second to Bastos at last year’s Disney Marathon, Costa, 33, crossed the finish line first this time, posting a time of 2:21:15 to lead the field of more than 17,000 runners who ran through all four Disney World theme parks along the 26.2-mile course. 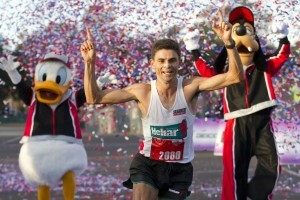 Bastos, who had won the past six Disney Marathons and seven of the last eight, finished 15th (2:45:09). Michael Wardian from Arlington, Va., (2:27:37) was second followed by Paul Nielsen from Orlando, Fla. (2:31:45). 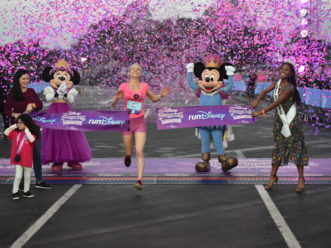 Leah Thorvilson from Little Rock, Ark., was the top women’s finisher (2:42:11), celebrating her 32nd birthday by pulling a mild upset of her own in halting Lisa Mizutani’s streak of back-to-back Disney Marathon women’s victories. Karen Simmonds-Brady from Auburn. NY, was second (2:51:14) and Jessica Crate from Melbourne, Fla., was third (2:51:53). Mizutani from Japan was 12th (3:02:34). Costa, who now lives in El Paso, Tex., ran near the front of the lead pack early in the race, but then quickly charged into the lead well before the 10-mile mark and then steadily pulled away, winning by more than six minutes. Pat Bragassa of Rigby, Ida., was the top men’s Masters Division finisher (runners age 40 and over) with a time of 2:38:41 and Myriam Grenon from Canada won the women’s Masters Division with 2:58:30. In the wheelchair division, Krige Schabort of Cedartown, Ga. (1:47:13) won for the third straight year, while Shannon Schaffer of Kissimmee, Fla. (2:47:39), was the first wheelchair woman to cross the finish line. 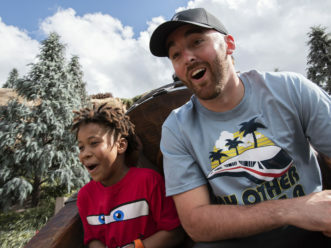 On Saturday, Tim Young of Rochester Hills, Mich., won the 13.1-mile Disney Half Marathon with a time of 1:05.35. Jenny Scherer, Delavan, Wisc., was the top woman finisher, posting a time of 1:17.35. 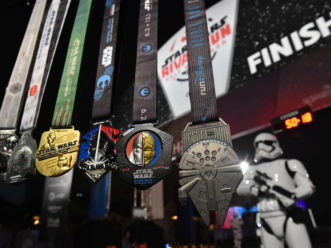 In all, runners from all 50 states and 60 other countries took part in a variety of Disney Marathon Weekend events, such as the Disney Family Fun Run 5K, Mickey Mile and Mickey Marathon Kids Fest and the Disney Half-Marathon in addition to the Disney Marathon. 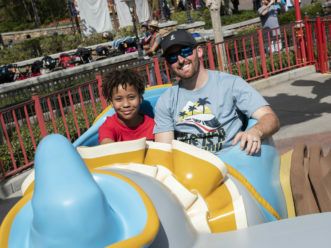 And once again more than 5,000 runners put themselves to the ultimate test – Goofy’s Race and a Half Challenge which involved running the half-marathon on Saturday and the marathon on Sunday. 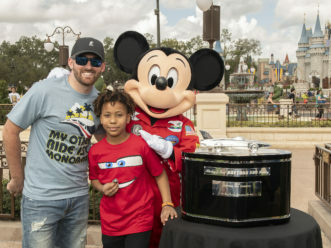 Many runners are celebrating their accomplishments by participating in Marathon Monday – all runners who participated in the marathon receive complimentary entry into Walt Disney World the day after the race. Registration for the 2012 Disney Marathon Weekend opens Monday, Jan. 10, 2011. To register or for more information on all runDisney events, visit www.rundisney.com. 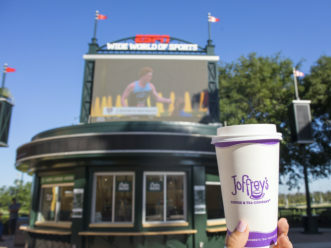 Also follow us on Twitter @ESPNWWOS.